A greasy and sticky substance emitted by the processes of stellar fusion permeates the space between one solar system and another: a study has tried to understand how much there is. 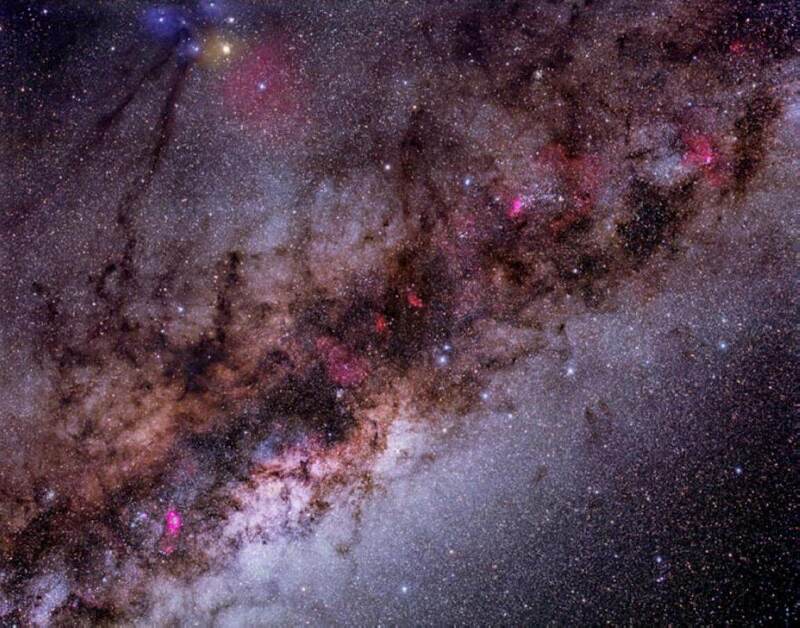 The Space out there is dark and cold, it smells like burnt and – now we can add – it is rather sticky : the Milky Way is full of “space fat”, an oily compound of carbon and hydrogen atoms called aliphatic carbon . This substance is one of the different types of carbon emitted by the stars in the course of their evolution, and could be one of the basic ingredients of planetary formation. Now a study published in Monthly Notices of the Royal Astronomical Society has made it possible to accurately estimate the amount of aliphatic carbon within our galaxy. OCEANS OF FAT. According to a research group from the University of New South Wales in Sydney (Australia) and the University of Ege in Turkey, the Milky Way could be permeated with a quantity of this space fat five times higher than expected. Reproducing a model of this substance in the laboratory, and comparing it to previous studies on interstellar space, the researchers estimated that there could be 11 billion billion trillions of tons ( 11 followed by 33 zeros ) of oily carbon molecules in the galaxy, enough to fill packages of butter for breakfasts from here to eternity . But be careful, “this spatial fat is not the kind you would like to spread on a toast,” says Tim Schmidt, author of the study. “It’s dirty, probably toxic, and only forms in the space between one star and another.” Schmidt added that the solar wind prevents this sticky dirt from accumulating in our planetary system. IN THE LABORATORY. To mimic the process by which the stars synthesize gas and expel it into interstellar space, the team has expanded a carbon-rich plasma (i.e. a carbonized gas) into a vacuum chamber. The resulting material was collected and analyzed with various techniques – such as spectroscopy – to determine its ability to absorb light in certain infrared wavelengths. These data were then compared with previous stellar observations, to deduce the amount of oily carbon in their surroundings. The experiment made it possible to calculate that a percentage between one quarter and one half of all the interstellar carbon of the Milky Way takes this sticky form. Because carbon-based molecules are considered an essential life-building block , knowing the quantity and distribution will help us to better understand the likelihood that other star systems similar to ours have been formed in the Milky Way, with a potential for life.